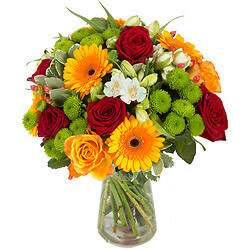 Delight them in a fresh way, at the home or office, with a gift of delicious fruit. 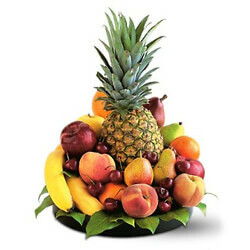 Apples, bananas, oranges and a pineapple arrive in their very own low round tray. 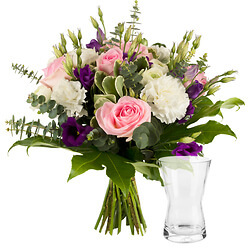 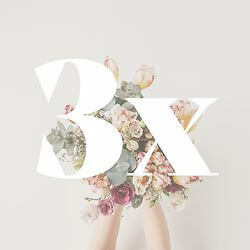 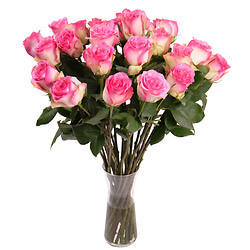 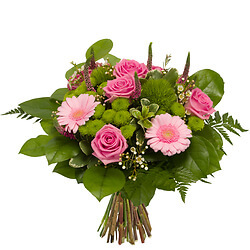 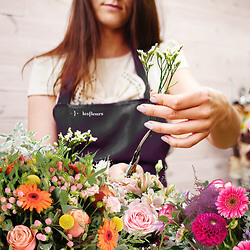 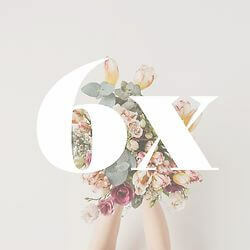 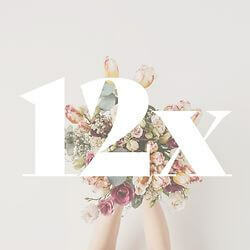 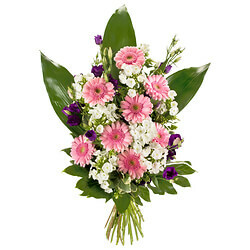 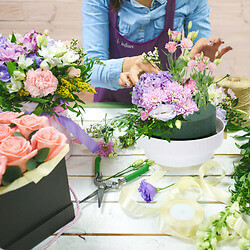 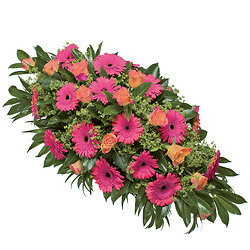 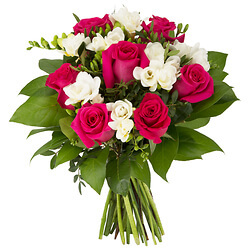 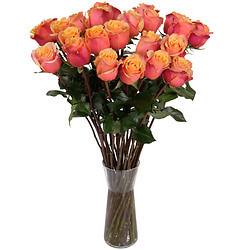 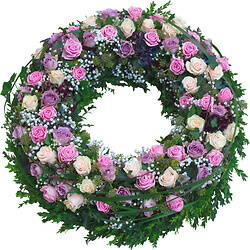 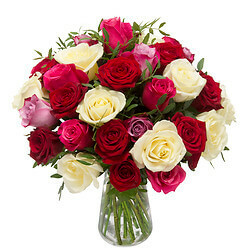 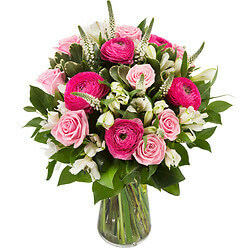 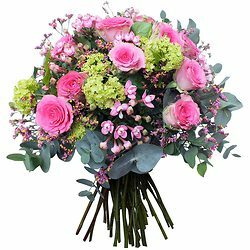 A round bouquet composed of roses and other seasonal flowers in shades of pink and green accented with greenery. 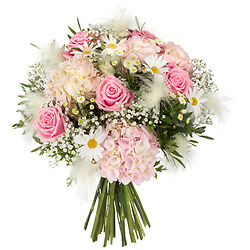 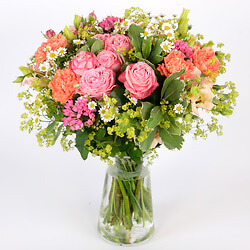 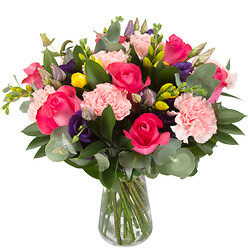 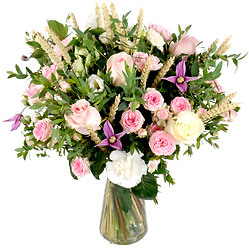 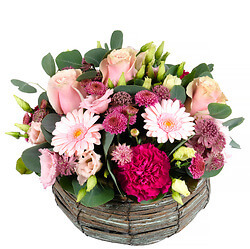 A rustic bouquet of roses and seasonal flowers in shades of pink and green. 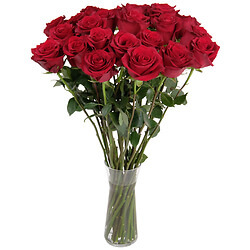 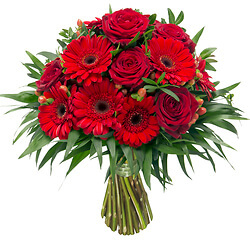 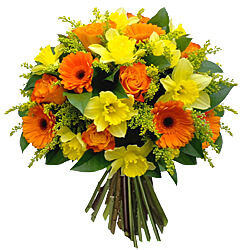 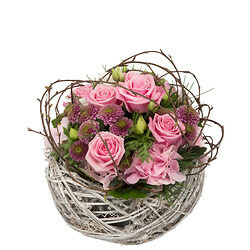 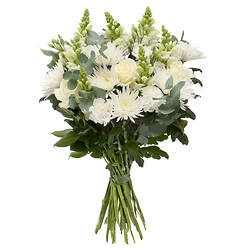 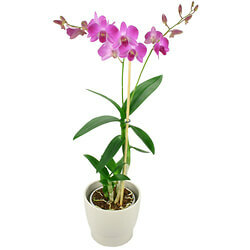 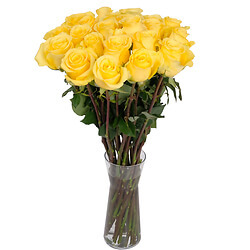 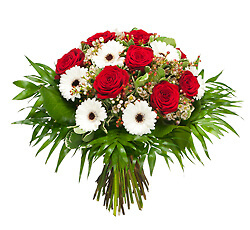 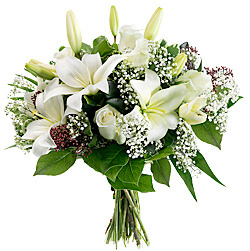 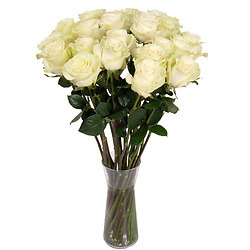 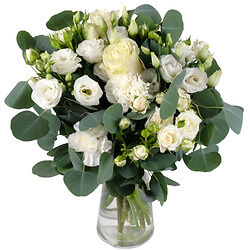 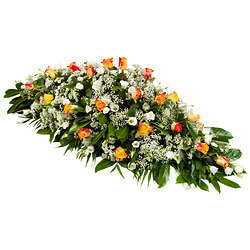 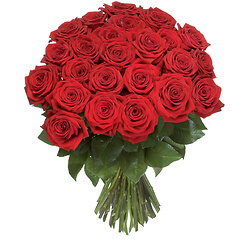 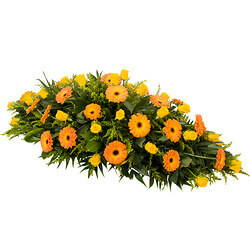 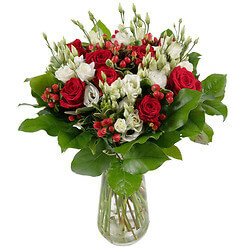 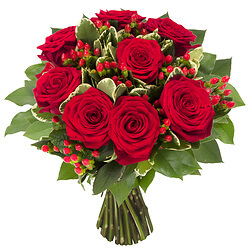 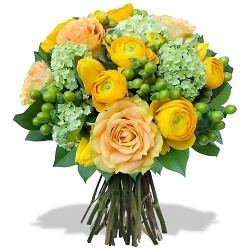 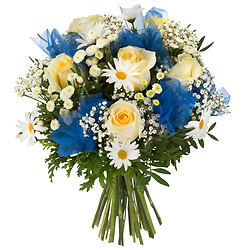 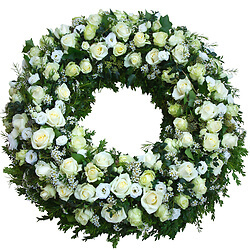 Round and airy, with original foliage, it will bring a touch of freshness and happiness!